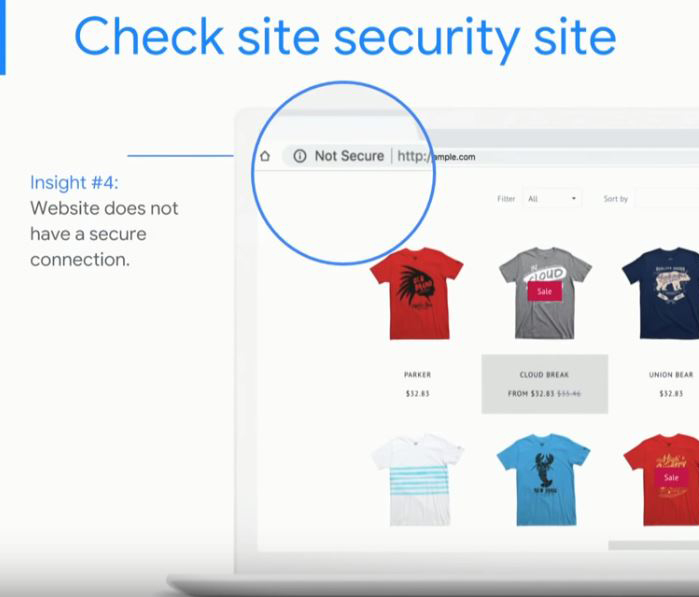 From the latest Google Livestream from March 6, 2019, we learned the 5 ways in which we can hit the ‘refresh’ button on our website. If you feel like your site is not getting much traffic, is not performing well or just needs an overall spring cleanup, then these 5 Google practices for refreshing your website are just for you! 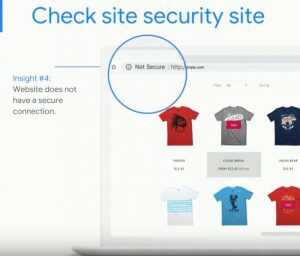 Refreshing Your Site – If you do a site search of your site using site:yourdomainname, you can see which pages are showing up and which may need to be improved. Page titles should be descriptive to what the page is about without keyword stuffing. Keyword stuffing will look like spam to Google, which will hurt your site’s overall presence. You can buy a 3-hour package and get a solid refresh done for under $300. Check out CTWebDevelopment Services for more information and to order. Creating a Sitemap – You should also create a sitemap; this will help to navigate any pages missing by Google linking them to the correct landing pages. The landing pages should be put in a standard template in the navigation. With a sitemap XML file, it will help to provide Google with enough information it needs to crawl and index pages. Updating Image Names and Descriptions – You can further help search engines like Google by optimizing any image files and Alt text. Choose file names that fully describe the image and not vague names like ‘image1.jpg’. Alt text will help the accessibility of the site and optimized images will further help your site get noticed. Dangerous – A red triangle in the left corner means the site is in danger of releasing your personal info. Not Secure – A ‘Not Secure’ image of an ‘i’ with a circle around it means there is not a private connection – another way data can be leaked. Secure – Your business ultimately wants to have the gray ‘secure’ lock to protect both you and your customers. Ask your web provider to help by providing your site security. 3PRIME hosting customers get a free SSL with your hosting, so if you want a simple solution to this, check out 3PManagedHosting.com, or give us a call for assistance setting up a 3rd party SSL! Be Mobile Friendly – Besides web security, another issue that chases visitors away is if your site is not optimized for mobile use. This will slow down the user’s speed and make it difficult to view content. Ultimately you want fast page loading speed, organized content and easy navigation. By searching for a ‘Test my site’ tool on Google, you can determine how well your site is performing on mobile devices. By searching for a ‘Test my site’ tool on Google, you can determine how well your site is performing on mobile devices. With these 5 tips, you are refreshing your site for better rankings on Google and better performance for potential customers. These tips will help your site to be direct with the exact content on it, so Google can easily identify and direct traffic to your landing pages. If you need help with any of these tips with from providing website security to optimizing your site for mobile use, contact 3PRIME today! The J2SE 5.0 platform released back in the early 2000s with a purpose of adding new features to the existing Java framework. There have been multiple updates that enabled it to work based on real-world models. In addition, the testing of software running on this kit has also provided with a smoother experience. It also enables better products for businesses. Looking at the multiple improvements in the J2SE 5.0 version, you have to understand the reasons for choosing it for your business development. The following reasons should give you an idea of why to move to this environment. To make sure that your system works proficiently, your do not have to recompile or redesign your applications for running a new version. In fact, old applications have an algorithm that keeps them running smoothly even on newer runtime environments, such as the J2SE 5.0. Moreover, this feature also saves any extra costs that may have been subjected otherwise. One such reason behind the success of this feature is the compatibility tests that ensure the working of backward applications. Java’s test suite contains over 250,000 tests that help in keeping the Java applications up and running. With the J2SE version 5, you can increase the performance of software for both server and the clients. The coding is smoother in this platform, which makes it run the applications at a much faster speed without interruptions or lagging. Even developers prefer it to other runtime environments because of enhanced regression properties. You may also like to learn about Runtime Polymorphism. This kit offers state-of-the-art manageability and monitoring framework that is developed in the machine for the virtual environment, which is Java Virtual Platform (JVM). In fact, you can easily use the consoles for managing without changing the protocols without worrying about low conditions of memory. This feature makes it great for SNMP and JMX protocols. Java has enhanced its design and interface features to help the user feel more connected to the framework. The Ocean interface has offered a multi-platform compatibility environment so that you can switch between the newer design and the traditional one. In addition, one can do this without the need of recompiling. J2SE 5.0 also adds more speed to the framework, thus enabling a decreased booting time. In fact, more than 30% time has been reduced when one starts the application with the newer version. JVM has also known to offer self-tuning and self-governing features on the various server-type machine, which offers more than two CPU processors connection. Thus, Java platform with the newer version is a boon that you should grab a soon as possible. You will love the new environment that offers such impressive features for improving your business productivity. Also, keep checking for updates related to this platform so that you can keep up with the latest features and improve your performance. Content marketing is the new kid on the block, but the strategy is making headlines across the industry because of its ability to consistently generate fantastic results for companies of all sizes. The average person consumes 11.4 pieces of content before making a purchase, which is why content marketing can have such a large impact on the purchasing decisions of consumers. When compared to traditional advertising methods like TV, radio and even pay-per-click ads, content marketing allows you to avoid interruption. According to Vincent D’Eletto Jr from WordAgents Reviews of content marketing, “the problem with these traditional marketing methods is that you rely on interrupting the consumers day” to tell them about your product, while content marketing puts the information in front of those who are already looking for it. Not only does this mean that you get your business in front of hot leads who are further down the sales cycle, but it also prevents you from becoming a nuisance. It’s easy for consumers to become irritated with companies that are constantly using interruption marketing, especially in the era of ad blocking; this is why many firms are switching to content marketing. As with all forms of marketing, it starts with research. The marketing team needs to understand what kinds of content are hot and who is sharing them and why. Once this has been established, they can create a fantastic piece of content and publish it. But that’s not enough, the old adage “build it and they will come” isn’t accurate. In reality, you need to use tools to promote that content. BuzzSumo is an online web application that aggregates the most popular pieces of content on the internet by looking at how many engagement signals they get on popular social media sites. This includes Facebook shares, Facebook likes, Retweets and Pinterest pins. These signals give you a good idea of what types of content are popular in a given niche. Although usually used for backlink analysis, Ahrefs allows you to enter a domain and rank their pages by the number of referring domains. Doing this shows you which pieces of content get the most links, which you can analyze along with the BuzzSumo data to better understand what you should create and why. The headline that you use for your content is incredibly important, especially on social media where people often share content without reading it. To create the perfect headline you should use the CoSchedule Headline Analyzer which scores your suggested title and gives you recommendations on how you can improve it. Luxury is defined as a state of great comfort and a condition of abundance. For as long as cars have been around, the brand and model of a car has been a symbol of luxury and status. However, nowadays the car itself isn’t what makes it desirable, but rather what is inside it. According to the Director of Industry Analysis at AutoPacific, automotive technologies are becoming the new measure of quality. With so many technological improvements to a car’s capability, these applications are becoming the new thing to have. So, to flaunt your style, check out these futuristic technologies that absolutely need to be included in your next car. Although autonomous cars have not fully hit the roads, self-parking capabilities are becoming more popular. Companies such as Tesla, BMW and Mercedes all have cars that can remotely park. You simply pull up the application on your phone, and you can park your car, or remove it from a tight parking spot without ever getting in the vehicle itself. Once restricted to high-end cars, autonomous safety controls are now offered in many affordable brands and models. Some of these controls include lane-keep assistance, automatic forward-collision breaking, and adaptive cruise control. These technologies are not only cool and futuristic but also work to keep you safe while in the driver’s seat. Car companies such as BMW, Ford, and Volkswagen are now advertising touch screens that you don’t even have to touch. Instead of pressing a button to turn up the radio, you can now do it with a simple hand motion. This increases the amount of functions that your car can perform as it provides no limit to the number of buttons and touch-options available. It can also make your drive safer, as you don’t have to be staring at a screen to change a radio station. Your car is becoming more human than you know. Now your car can communicate with you about your surroundings. For example, you can receive information about traffic, climate conditions, and other road conditions through your dashboard. Your car can also search through mobile apps such as HWYPro, designed by Bill Busbice Jr. This allows you to integrate all the information you need to know while going on long journeys. Because cars are becoming more digital, software updates are becoming very important to keep everything running. We used to have to take the car into the dealer to receive software updates or install the software through a thumb drive. However, now, some cars are allowing the ability to provide key software updates over the air. This is similar to how your mobile phone or computer receives updates and can save you time and money. When searching for your next car, be sure to look for these technologies to ensure that you’re getting the most up-to-date and technologically advanced vehicle. Virtual reality, for many, sounds like something from an old sci-fi movie, not something that’s becoming commonplace in modern-day businesses, but that’s exactly what’s happening and this new way of doing business is taking many industries by storm. Virtual reality is, and will soon be for most businesses, an indispensable tool that drives productivity and sales like nothing that’s ever been seen before. Virtual reality is a computer-generated technology that provides an immersive experience using projection technology, 3D glasses, or 3D headsets to show lifelike images, sounds, and other sensations to reflect an actual presence in a virtual reality or imaginary environment. This technology will provide anyone the opportunity to see how a product or service will look and function before it has been completed. How Is Virtual Reality Changing the Construction Industry? Virtual reality will help construction teams with building information modeling (BIM) to see what a finished project will look like when completed. This technology works by collecting a wide range of images using 3D laser scanning and drone collected pictures to design a set of vivid, lifelike images which are then used to create three-dimensional pictures. Virtual reality is helpful in other ways as well. For example, making changes once a building is under construction is extremely time-consuming and expensive. But virtual reality helps correct conflicts and mistakes because using this technology allows a team to find and correct any issues for free before any type of construction has begun. It can streamline the process of building new construction by providing a concrete vision beforehand of what the end appearance will be. The list of benefits that come from using virtual reality in construction is growing quickly as more and more uses of this technology surface. Here are just a few of the benefits you can expect when using virtual reality in your construction business. Construction can be an extremely difficult business because there are so many moving parts that need to be precisely coordinated to achieve the best possible end result. 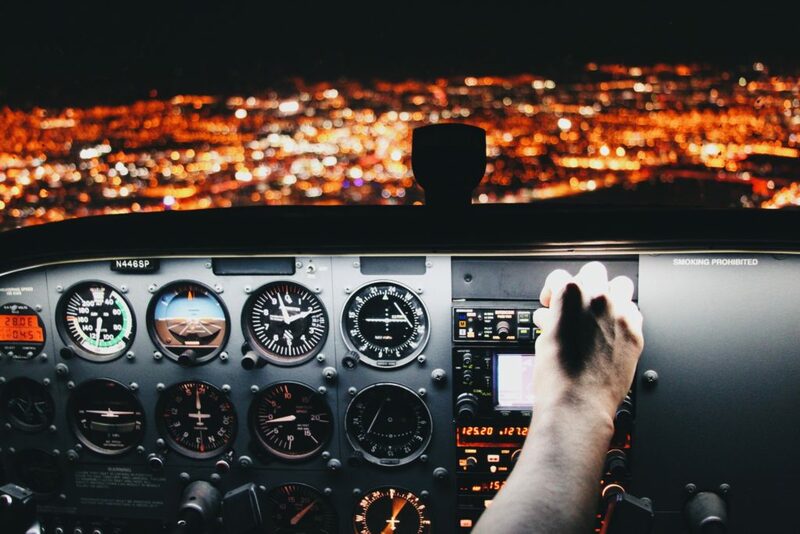 Therefore, any tool or technique that can make the process come together with the least amount of error, the highest chances of success, and the lowest possible cost, is not something that should be considered. It’s something that should be a requirement if you want to become or remain an authority in the industry. Here are some of the most common virtual reality applications currently being used in the construction industry. Other applications on the horizon that should also be considered are augmented and mixed reality. Augmented Reality. This is a technology that superimposes a computer image on a user’s view of something real providing them with a composite view. Mixed Reality. This is also known as hybrid reality and is the merging of the real and virtual worlds in an effort to produce a new environment or visualizations where physical and digital objects co-exist and ultimately interact in real-time. Virtual reality is quickly replacing the construction of scaled mock-up building models. This trend opens up so many more potential opportunities for any business who jumps on board. And with the numerous virtual reality software programs and apps surfacing, the use of this technology will continue to grow and influence the construction industry in an even bigger way. We are re-posting this awesome resource from Marin Software. 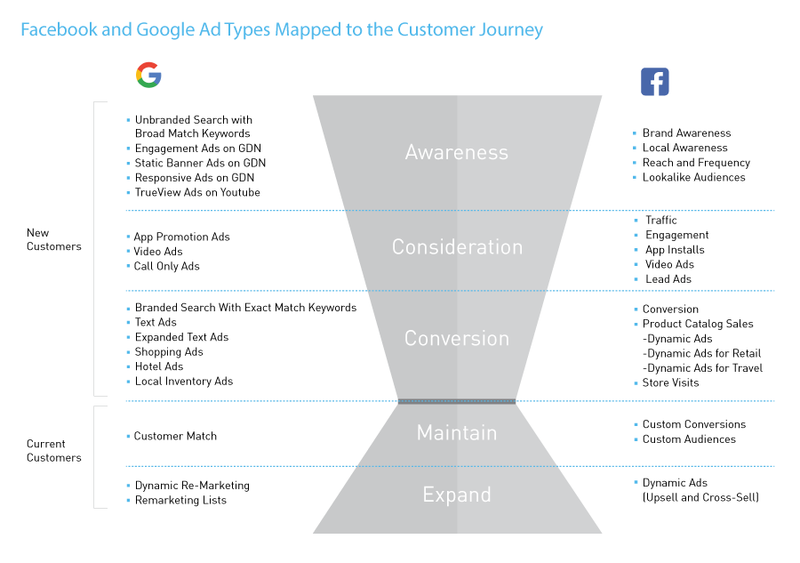 They created an outline of ad formats and objectives that Google and Facebook provide for each step in the typical customer journey from awareness through sale and beyond. Artisan coffee is a growth industry. Millions of people are rediscovering their love of freshly ground coffee and on every street in every town, there is at least one artisan coffee shop staffed by cool hipsters. With growth in this niche phenomenal, it can be hard to stand out from the crowd, so a great marketing plan is essential. You can’t afford to sit back and wait for customers to find you and learn to love your dark roast espresso or super smooth flat white. Sure, organic traffic will come, but it’s better to kick-start the process with a smart digital marketing campaign. No matter how amazing your coffee shop is, you need a website. Customers tend to look for a website when they learn about your brand. They want to find out more about you. Coffee junkies are interested in different beans, roasts, and anything coffee related, so it’s essential that you have a fully functioning website open for business at the same time as you open your coffee shop doors. Use your website as a content marketing hub. Tell your customers more about the types of beans you use and where they originate. Offer hints and tips about the perfect blend and post videos of your finest coffee moments. Little details like this that will help you attract and retain loyal customers. It’s easy to create a website. Content management systems like WordPress offer a simple drag and drop interface anyone can use. However, you should start with a good hosting package so page loading speeds are not compromised, as this will affect your business. You can sign up for Blue Host with coupons to save money, which is perfect for a startup with very little money left in the budget. A strong social media presence is critical. People love to share content online with their friends and family. Create a Facebook page and encourage customers to join you online. It’s also worth creating a strong presence on visual social media platforms such as YouTube, Instagram and Pinterest. 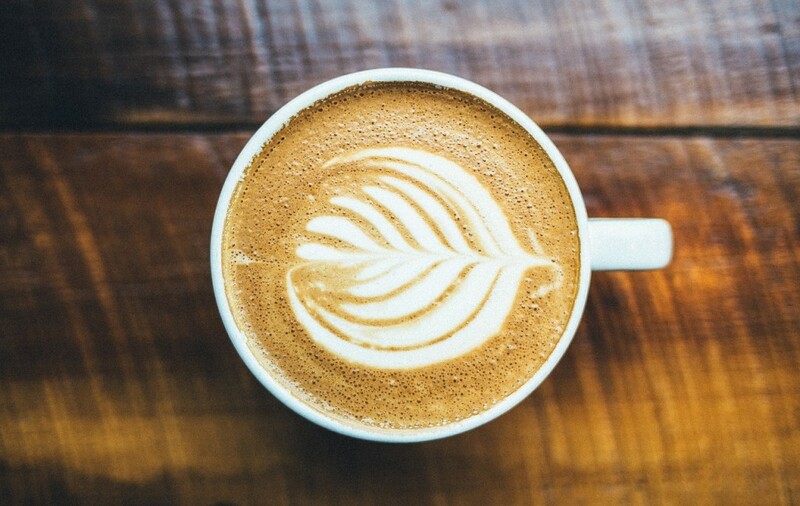 Show off your latte art skills and post videos about how to make the perfect cappuccino. Many coffee enthusiasts love to chat about coffee online, so join a few coffee forums and become a trusted source of advice. You can share your coffee stories and promote your coffee shop at the same time. It’s also a good place to source new coffee beans and equipment for your coffee shop, as many people in the trade will frequent popular forums. In the early days, PPC advertising is a good way to build up a clientele. Social media PPC advertising is cheap and effective, as it directly targets your ideal customers. Use social media PPC to spread the word and drive footfall to your website and coffee shop. You don’t need a big budget to market a coffee shop. Once you have customers through the door, your amazing coffee should be more than enough to keep them coming back. The food industry is one of the biggest users of digital signage LCD and LED displays, mainly because of the nature of the business where, over and above marketing, digital signs are also used for menus, recipes, list of ingredients, and other information that is very useful to the customer. As early as 2011, a survey conducted on 200 industry leaders showed that 21% planned to roll out digital ordering kiosks and menus. So, how can your business use digital signs to attract and retain customers? Here a digital media board is being used at a restaurant. 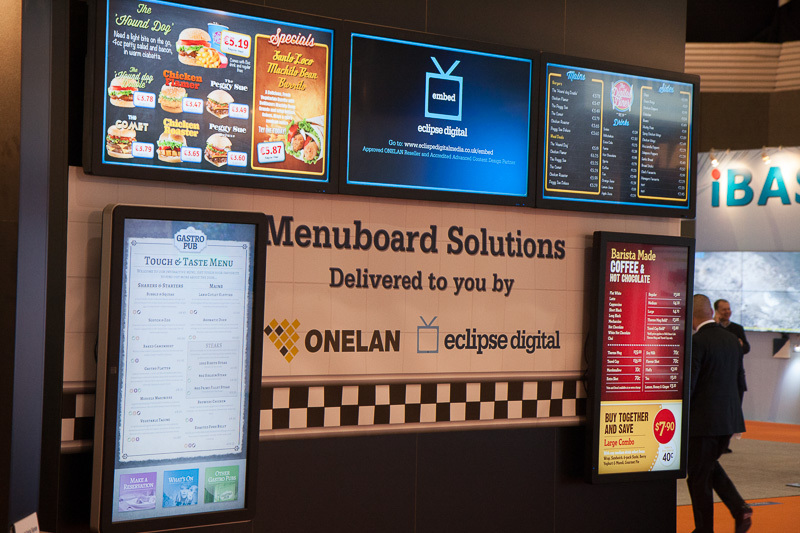 Place digital menu boards (DMBs) above the cashier or any other strategic place that can be viewed by all. Studies have shown that this boosts overall sales by between 3% and 5%, and even higher on the specific items promoted. DMBs help drive foot traffic and you should, therefore, use them in places like airports and malls where you are competing with other restaurants and you need to catch the eye of passers-by. Studies show that purchasing decisions of 30% of customer surveyed are influenced by what is on DMBs and 15% of restaurants report increased customer numbers after installing DMBs. Display of information such as calories and ingredients will help you stay on the good side of the law. Recent U.S. laws require that restaurants that have over 20 outlets display calorie info alongside each item. Displaying ingredients used could help you attract customers. You can also list potential allergens like nuts and gluten, and whether the items displayed are vegetarian and/or vegan friendly. 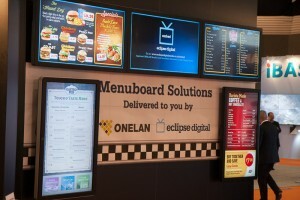 You could use your digital signs as ordering kiosks. These take the form of digital menus or tablets brought to the table. Ordering kiosks are intuitive touch-screen signs that allow customers to place orders, even without talking to the waiter. Some restaurant owners fear that this might give an impersonal and cold experience, but they actually lead to a more personalized experience. According to a 2010 survey, customers preferred QSR offering self-service. “Chef Crafted Sandwitches” in 200 McDonald’s stores is a good example of how ordering kiosks can boost your restaurant business’s sales. Other than digital signage content giving information, you can also use digital signs for interactive games and other forms of entertainment. This will come in handy since customers will not get bored (which usually leads to them leaving) as they wait for a table. If you have a social media channel, you could integrate it with digital signage to allow people to leave reviews and comments. You could ask them to give feedback for a chance of getting money-off coupons or free burgers. You can display social media feeds and encourage sharing, which increases the chances of your content going viral. Adding a recipe is a good way of attracting and retaining customers. Recipes make a good back screen when there’s nothing else being displayed. Your competitors are most likely using digital signage and you should not be left behind since this catching up might be difficult. You should let a pro handle digital signage since this will allow you to concentrate on your core business and it will bring professionalism. Ways to Use Press Releases for SEO Purposes! When a company has some news that it wants to share with the media, it uses a press release. For decades, this method of disseminating company news has been utilized successfully. Thanks to the Internet, press releases can be conducted on a digital platform and contribute positively to the SEO effort for a website. How can press releases be valuable to you from an SEO perspective? A press release is indirectly and directly valuable to your website. It can add value to your website directly when Internet users click on the press release link in the search engine results and arrive at your business website. In this way, your website gains an increased number of visitors. The press release helps your brand value to increase by creating some buzz and awareness for your business. Your press release should be written for online readers. You should ensure that your PR firm in San Francisco firm does not write it for search engines. Some PR companies write releases int his way by stuffing too many keywords in the content. When they do this, the overall product does not effectively communicate the company message. As such, you should use keywords carefully. Here is how to do it. First of all, ensure that you pick out the most ideal keywords and keyphrases for your press release. These should be words and phrases that clearly describe your business, your product or your service. After you identify these keywords and phrases, you should use them sparingly in your press release. If you put too many of them, then it will be flagged by the Googlebots and your website can be demoted in the ranks. As such, it is important to place keywords sparingly in the press release for maximum impact. It is very possible to use press releases for SEO purposes. If handled properly, these releases can inform Internet users about your business. Simply follow the above tips and tricks while using the press releases for this purpose and this will help you to achieve SEO for your website. Fetty Schuman is an SEO expert. She works with one of the top PR firm in San Francisco firms and delivers exceptional work for her clients. She is considered an authority on how to utilize press releases on the Internet for SEO purposes. Her opinion is presented in magazines, websites and blogs. Do you know how to succeed in business using SEO? One must have a fair idea about how search engines operate. Using the data reporting and analysis efficiently and responding to it is of utter importance. With a proper response to the analytics report, you can build a strategy which suits your business. This article delves into the questions you can ask of your SEO data. Search engines go through websites in detail. They use an algorithm to deliver the most relevant and helpful search result for the users. The rank of a site on SERP is based on a number of factors like title, link, and more. The higher the rank of your website or web page, more are the chances of search engine users visiting them. This helps in the marketing and growth of your business. This is the reason why there is so much buzz about SEO in the online marketing segment. SEO is all about getting your data right and work on it instantaneously. Data reporting and analysis should be the major building block of your SEO strategy. They help you by providing information to monitor the performance of various fields of your business, as well as bring out meaningful insights that can be used to understand and optimize your business. You should respond to these data in order to improve the performance of the business. 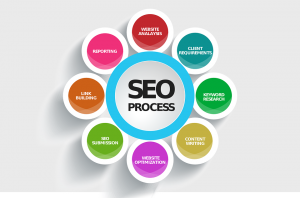 Your SEO strategy is the prime factor behind successful online Internet marketing. You must obtain enough information and devote enough time for constructing your strategy. A variety of factors and stuff are needed to be looked into, analyzed and implemented. What you want is important information to determine the strategy. Your goals, the type of traffic you are aiming to get, etc. are essential data. Understand the Targets: You must be clear about the target. You should clearly define the targeted audience in your strategy. For example, a flower business would clearly be meant for the local residing people. How far have you succeeded in attaining your goals? How much have things improved? 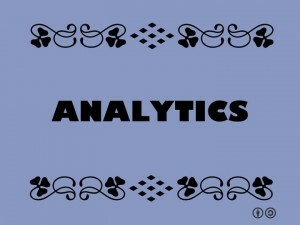 In this phase, the SEO expert looks at other aspects of analytics. You can observe the changes that you had not expected. The bounce rate on your site may have increased instead of decreasing. Or, a page on the site may have gained popularity. This type of information can tell you how a recent change you made has affected the behavior of your audience. How are things different from what you had hoped? Knowing the difference between the results you had expected to receive and the results you have actually received are important to determine strategies. This may prove that your assumptions had been wrong and you may have to adhere to more useful techniques. What are the notable features in the change? Getting detailed information about the changes is also a significant factor in determining further strategies. In the event that you notice a rise in traffic, you should try to identify the demography of the increase in traffic. With the right question, you can understand where you have gone wrong and what improvements you have made. The question can assist you to determine the measures you can take to design better strategies and improve your traffic count. So, prepare the right questions and get improved results.